I started writing up this post the day after the US election, where I followed it as it developed through the night. So it would be safe to say my face and skin was not looking quite as fresh and well rested as one would like after all that. In general this time of year tends to be when your skin can go a bit bonkers as the seasons change. From sudden oiliness or dry patches to break outs and general dullness (*raises hands to all of the above*). 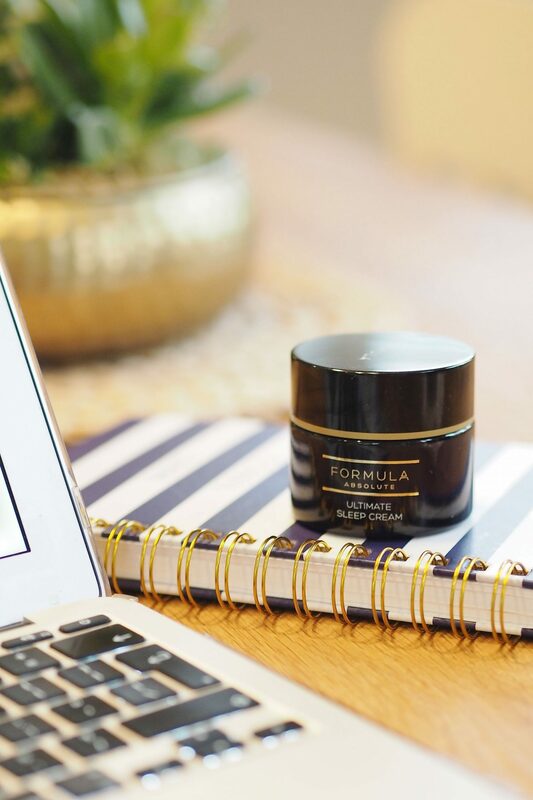 It seems like the perfect time to share a couple of overnight skincare game changers that I have fallen head over heels for – both of which are total wonder products for that overnight effect that is the dream. Beauty whilst I sleep? Yes please. Even when there not been quite enough sleep… thanks to the 5am wake up call from Willow…but still. Let’s share the two wonder products that I’ve been slapping all over my face especially to counter dullness and dryness. There’s a bit of a story behind this miracle serum. I first tried it way back in Spring this year and absolutely LOVED it from the first week I was using it. It’s relatively rare to find a product that has that sort of effect so quickly. 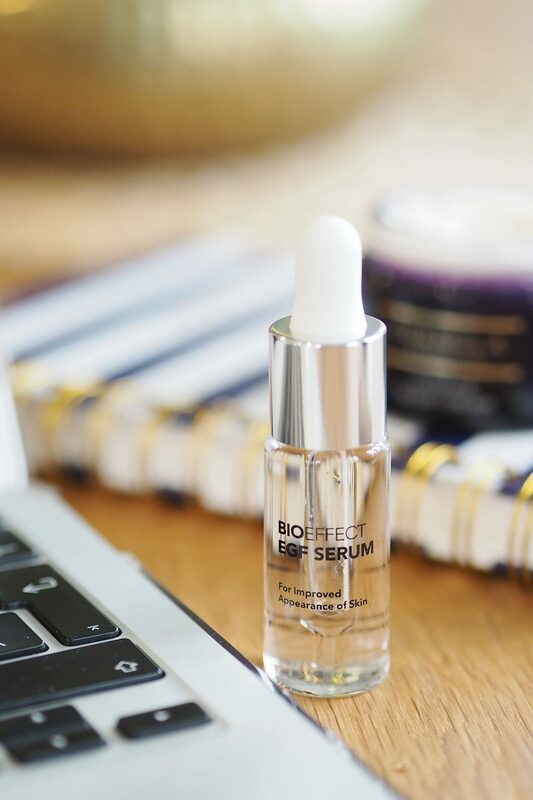 It’s a light serum that when used overnight I find it really gives my skin a hydrated and plumped feel. I was seriously impressed with how good my skin looked when I woke up. So, the story with this being that I loved it so much I took it with me on holiday to Florida. BUT all was not well, the little bottle with a pipette top survived the flight but did not survive my clumsiness when I knocked it into the sink in the hotel. The bottle is glass and sadly shattered. Yes, I did desperately scoop up the piece that was unbroken and eek the last drop out the of the undamaged pipette – that’s how good this stuff is. But I had to let the broken bottle go. But, very very kindly I was sent another so I have had a really good amount of time to test it, I was in the middle of another skincare trial so it’s taken me a while to get to properly testing again. On round two, I was just as blown away. I’d go so far to say that it would be the best overnight serum I’ve tried. What makes it so special? Well, EGF stands for ‘epidermal growth factor’. The idea being that it helps restore natural radiance, reduce appearance of sun damage and wrinkles. Diminish dry spots and only containing seven ingredients with no preservatives, parabens, fragrances or colourants. Sure, so the ‘growth factor’ thing doesn’t sound all that appealing in all honesty (I don’t really want a growth…) BUT it’s basically a ‘cellular activator’. So helping with collagen production and the like whilst you sleep. Hence the glowing effect by morning. There’s also an eye serum that is really good too – but this serum has to be the ultimate for me. I’ve always loved anything that promises to work whilst I sleep. However, my experience of M&S own-brand skincare is limited and in all honesty probably wasn’t jumping out at me as the one to try next. But having read a couple of positive reviews of it, it changed my mind and so when my skin was feeling a bit like it was showcasing all the late nights and lack of sleep through dullness and dry patches I decided to give it a whirl. And I am VERY glad I did. What I liked about this is how it has a rich texture, but still feels like it absrobs. It doesn’t just sit on top of skin and create that ‘film’ that some rich or overnight creams can do. It absorbs in and leaves skin feeling all plumped and dewy. It does this pretty instantly but the dream combination works when I use the Bio Effects Serum and then a touch of this too. A night of sleep and my skin looks lovely in the morning. It does come in a dark coloured glass pot. Which is fine, though I do prefer a tube or bottle – simply for the hygiene reasons! Something I never used to think about but ever since it was pointed out to me about how many times you stick your finger in something before it’s done I can’t help but think it each time I use a pot instead of something more air-tight… I mentioned the texture before, it’s a tricky one to describe because it is light but also rich… sort of like a thick gel consistency (my favourite) so it feels both intense and light at the same time. Perfect for a night cream if you don’t want something too heavy. I really like this cream, either on it’s own or in combination with the Bio Effect EGF Serum. It’s funny to think how these can be opposite ends of the price spectrum but work so well, which is good news as hopefully means something to suit all budgets! The bioeffect.co.uk is £22 for a 50ml tub and the bioeffect.co.uk is £125 for 15ml. Now… to resist the urge to pop them both on my face and nip off for a cheeky little nap! No time for naps – too much to do! Looks really great but is definitely out of budget for me :(. Amazing post! This has was really helpful! I love your pictures! They all look so professional!